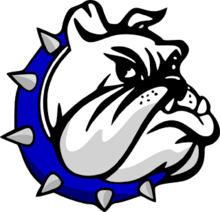 CRESTLINE — On Saturday afternoon, the Crestline Lady Bulldogs welcomed the Lucas Lady Cubs to town to compete in a Mid-Buckeye Conference girls basketball clash. Lucas was able to hang on for the win, defeating Crestline by a final of 54-40. The Lady ‘Dogs fall to 4-14 overall on the season and are now 1-7 in conference play. Lauryn Tadda would record another double-double for Crestline against Lucas, dropping in 17 points to go with 12 rebounds, as well as dishing out four assists. Other stats for the Lady Bulldogs on Saturday were: Team- 9/31 from the interior, 5/15 from three-point range, 7/12 from the free-throw line, 36 total rebounds (6O, 30D), 12 assists, 3 steals, 1 block and 24 turnovers; Lydia Tadda- 7 points, 4 rebounds, 5 assists, 2 steals, 1 block; Bri Briggs- 7 points, 3 rebounds, 1 assist; Alandra Tesso- 6 points, 8 rebounds; Kirah Hoskinson- 2 points; Daija Sewell- 1 point, 1 rebound; Hannah Delong- 4 rebounds, 2 assists, 1 steal; Destiny Hoskinson- 3 rebounds and Brynn Cheney- 1 rebound. On Monday, February 5, the Crestline squad will travel to Mansfield for a non-conference game with Temple Christian. The Plymouth Lady Big Red will head to the Bulldogs home floor on Tuesday.